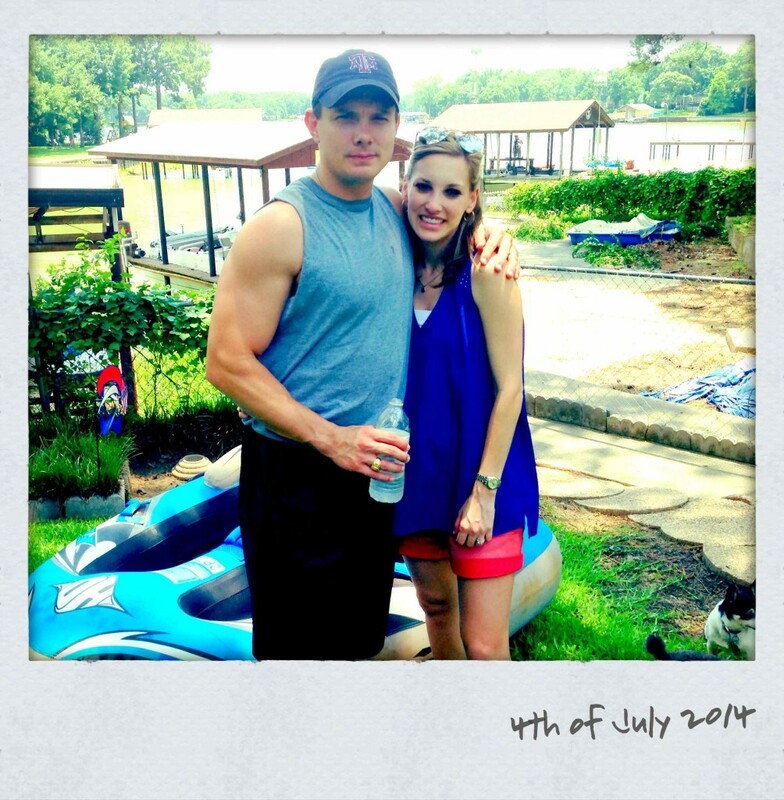 I hope everyone had a fun and relaxing 4th of July weekend. We stayed the weekend at Tony and Paula’s lake house and of course, that always means LOTS OF DESSERTS!! We had my Neiman Marcus chocolate chip cookies, blueberry cake donuts from Texarkana, a white cake topped with strawberries, Paula’s creamy coconut cake, Boog’s chocolate chip cake, last but not least Boog’s pecan pie (recipe below). We weren’t short of sweets by any means! What’s crazy is nearly all of those desserts were gone by Sunday afternoon as we were leaving to go home! 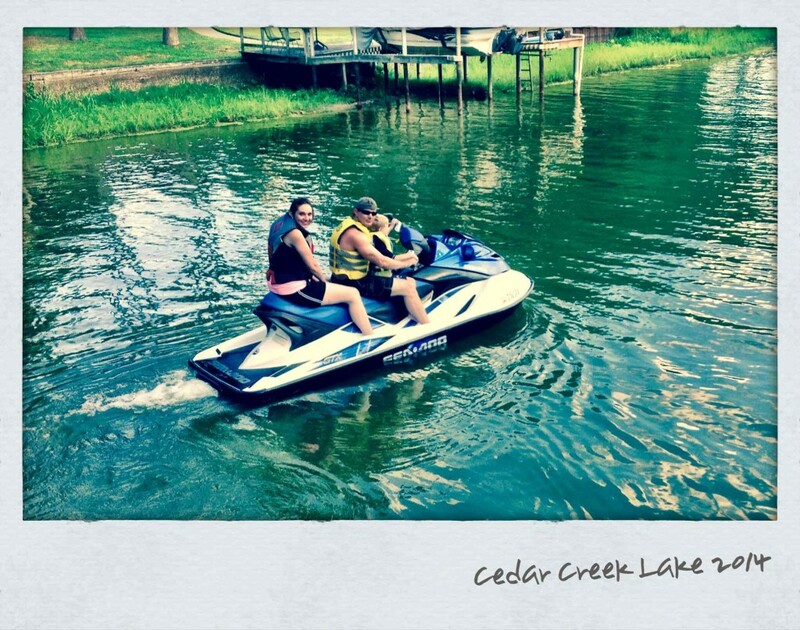 As you can see below, lots of fun was had on the jet ski, and unfortunately I was a bystander since I’m 23 weeks pregnant and it’s not exactly safe for me to be riding on one. 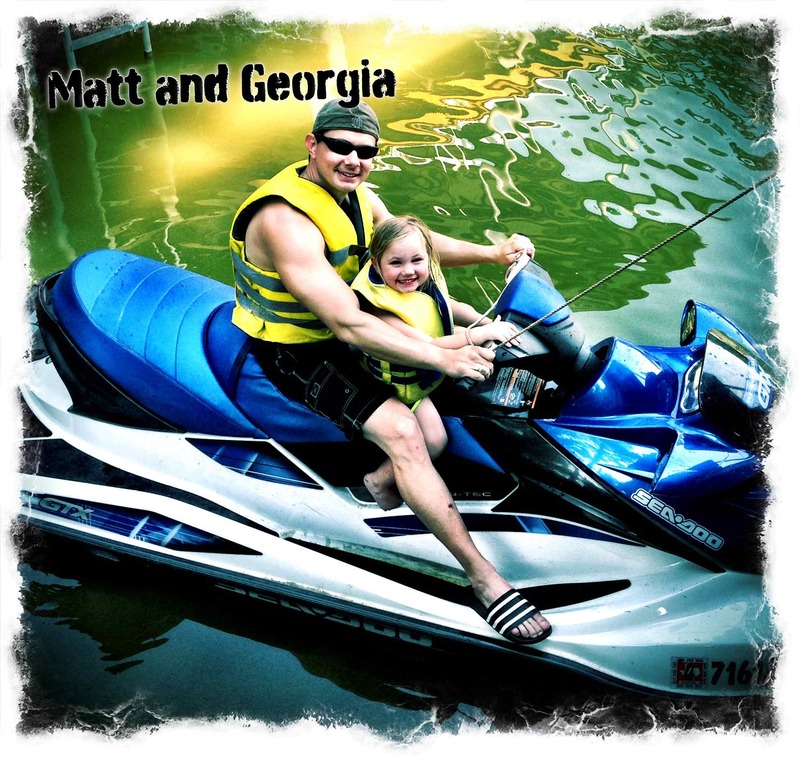 Matt and his sister Leah, and her kids had a blast though. Leah’s kids are at that age where they are getting old enough to start having a little fun. 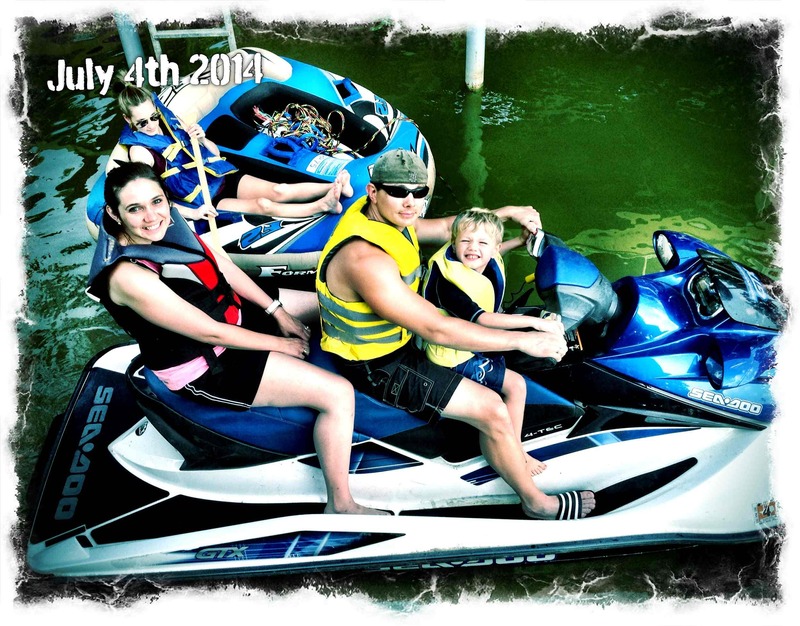 🙂 Both kids had a great time riding with Matt and Leah on the jet ski, and I’m glad they got to enjoy it. 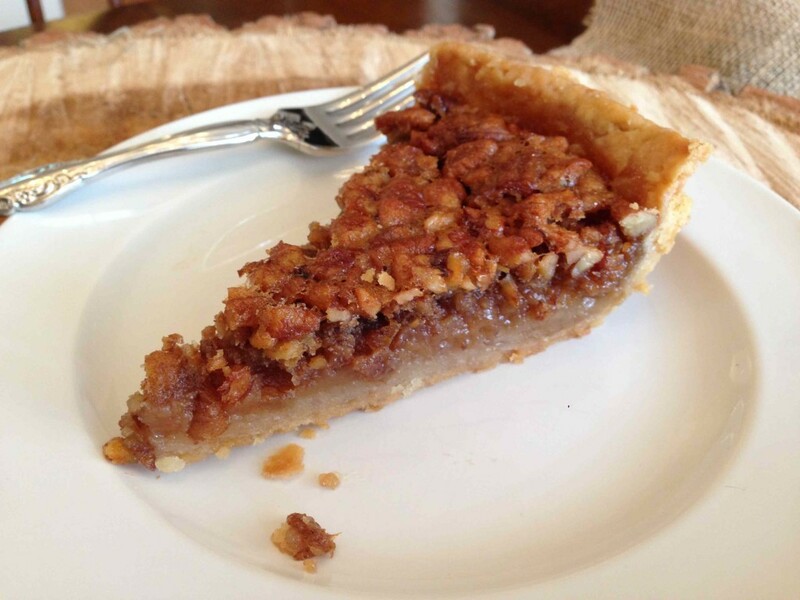 Back to Boog’s pecan pie. Boog is Matt’s grandmother, and every time we go to the lake she makes either a pecan pie or a chocolate chip cake or in this case, BOTH! Her pie recipe is super simple to make, and extremely delicious. When Matt was younger, Boog once made this pie and Matt ate the WHOLE PIE in one day (one sitting actually). Haha. His appetite has changed a bit, but Boog’s pecan pie was gone in less than 2 days! Beat the eggs with a fork. Add the sugar, syrup, then the salt and vanilla. Lastly, pour in the melted butter. 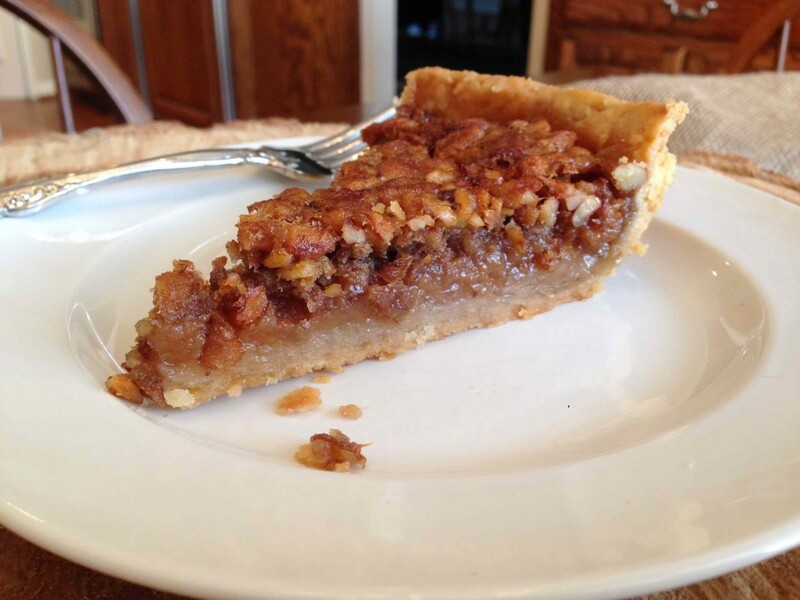 5 Responses to "Boog’s Pecan Pie and the Lake"
Haha, that’s actually Poncho!! He’s rounder and face is slightly different. I thought it was Skippy at first too! The look like twins! 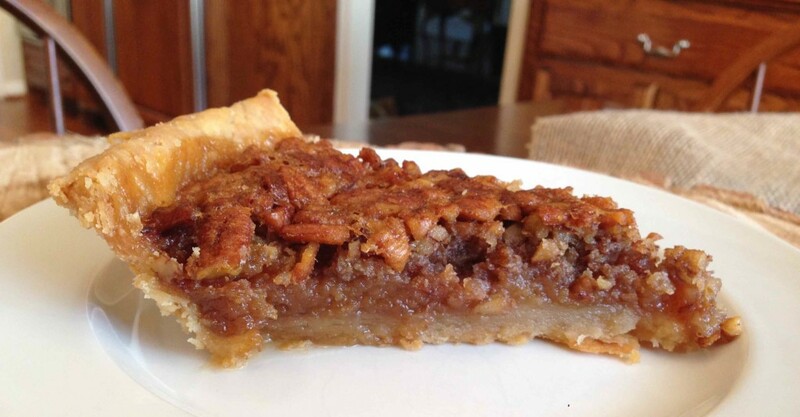 I looked at this picture of the pie…..and my mouth watered! Would live to have a huge slice before I start my DIET! The dog in the picture….is the cutest dog in the entire world!